Show us your existing good faith estimate and the odds are we will beat it. For more than 10 years we provided lower rates and lower or no fees, with the highest level of customer service. An experienced, professional, full-time LOCAL Loan Officer looks forward to help you finance your home. Choice Finance®, local mortgage financing in Maryland, Virginia, D.C., and Delaware. If you are looking to purchase real estate, make sure you have your mortgage approval letter in-hand. You will need this for your Real Estate Agent to submit with your offer. Getting approved for financing up front will let us gauge how much you qualify for. It will also give you the opportunity to see what your payment options look like. We have the ability to offer a no and low closing cost refinance option with some programs and loan amounts, however, this is not always the best route to go. Ask us to show you this no OR low cost mortgage compared to other options. If you have an ARM that has adjusted upward, or an ARM that is coming due, have us put together some options for you that will lower your payment and/or fix your interest rate. We are very proud to share with you the comments of our past clients. 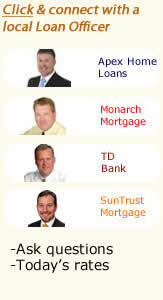 View actual testimonials written by our borrowers over the years. ChoiceFinance.net is a free online mortgage site where you can check rates, find current financing articles, updates, information and get connected with a local Loan Officer. 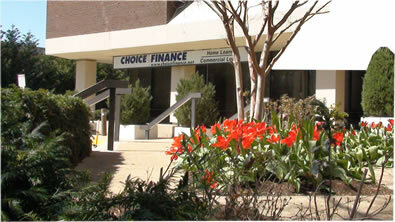 Choice Finance Corporation, the Rockville based company, was previously associated with choicefinance.net but is no longer. Choice Finance Corporation closed it's doors in 2010. This website has been kept in place for our thousands of former clients to still be able to contact us AND to help new clients, including the ability to put them in touch with a local loan officer who had worked at Choice Finance Corporation. You can access all the MRIS listings available for sale in the D.C. metro area through several websites, including this one... a good place to start your search for Montgomery County Maryland, D.C. and Virginia homes.